In Franklin, you can have a successful lawn (even coming off a dry growing season) by following three simple tips. First, you should select from turf varieties and place plants in your yard that are known to be drought resistant. The next thing you should do is learn about and apply water conservation practices. Finally, increase the efficiency of your irrigation by controlling irrigation water ponding, surface water run-off, and leaching. Following these tips, or getting the help of a landscape professional to do these things for you, will give you a beautiful lawn. 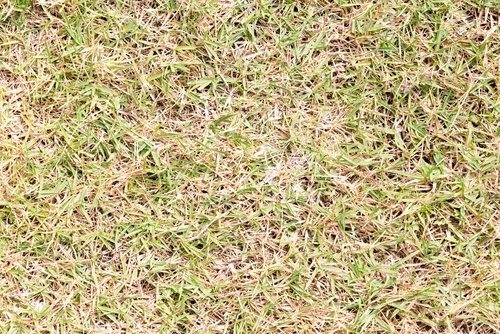 Fine leaf fescues, tall fescue, Kentucky bluegrass, and Perennial ryegrass are all turf varieties that have a good reputation for high drought resistance. These types of grasses have developed physiological adaptations to perform well in a dry growing season. Choosing from among these types of grass delays or prevents stress to your turf and will help maintain yard health during drought conditions. As we look toward the future, the demand for water for drinking, agriculture, commercial, and residential use is likely to increase. The supply remains about the same, so it is a good idea for all of us to think about responsible conservation practices. Limitations on watering your grass is one of many restrictions put in place when authorities notice ongoing dry season conditions. Having your soil texture and composition evaluated by a landscape professional can help when you need to know how much and how often you need to water your lawn. They are also able to help you with water ponding, run-off and leaching issues. A dry growing season (or perhaps more than one consecutive dry period) may negatively affect your lawn. Practicing these three simple steps can help toward your successful and healthy lawn in Franklin.